It's This or Murder...: Win a Free Print from Canvas Factory, via Mom's Gone Bronson! 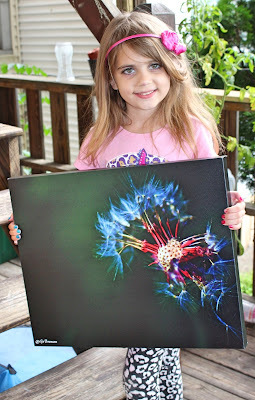 Win a Free Print from Canvas Factory, via Mom's Gone Bronson! Disclaimer: I was provided with a print from Canvas Factory in order to give you my honest opinions. The photo used was my own, your pics, quality and designs will vary depending on your resolution/quality/choice of print etc. Your experiences may differ to mine. Thank you. 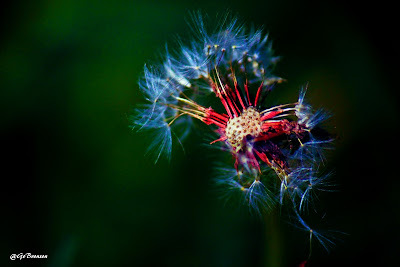 I have always loved photography and have always seemed to own a camera. I remember the days when you had to walk to the shop, hand over your film and wait few days for your photos to be processed - never really knowing if the quality was good or bad until you got them back. Now, of course, we can take photos on our phones, cameras and other devices and see out pictures instantly and even edit them almost as quickly and have them printed out in moments - this is where Canvas Factory comes along to brighten my day. Original photo taken in my back yard. Personally, I love to see my photos in print. I love to make photo albums and love to display pictures on the walls. I like the fact hat I can look back at old photos of my family, myself, my dad, in print. Of course social media was not a thing back then, but nothing online is safe and if a site closes tomorrow, all your pictures are going to go with it and it is nice to know there is something to hold on to. I was recently asked if I would like to try out Canvas Factory for a print of mine and, after utilizing their services before, I jumped at the chance to say yes. The site is very straightforward and easy to use - you just upload your high-quality photos to the site, choose your settings and canvas type, background, layout and size and pay the cost to create your artwork. Once ordered, your canvas print is shipped directly, and securely, to your door within a week or two and you can proudly display it on your wall for the world to see. I uploaded a photo that I took earlier this year in my back yard and was eager to see what it looked like in print and on my wall. I chose to wrap the photo around the canvas, a black background, fit the photo to the frame and crossed my fingers that the quality of the image was good enough for a 16x20 print. Order and preview from Canvas Factory. When my canvas arrived, I was SO thrilled with the results. The quality of the canvas is good, the photo is printed well and the quality of the overall finish product was perfect for hanging in any living space to give the photo the attention it deserves. I was very pleased withe the family photo I had printed previously, but even more so with this print from my yard, as it is going to be a print that I will sell in the future and this is the first time I have put it out there for display. I am very pleased with this piece and can't thank Canvas Factory enough, seeing as the service was simple and easy to use and really was no hassle at all with the results that I wanted coming to fruition in a very timely manner and with good quality. If you would like to have one of your photos put into print, too, here is your chance! Canvas Factory has given me a code to allow ONE LUCKY READER the opportunity to win a print of their own, which you can upload, order and have sent to you, just like me! If you would like to see your photo in print, on canvas, then just enter via the rafflecopter, below! Come back daily for your extra tweet point! Giveaway open to USA and Canada only and ends GOES LIVE: 8/31/2017 and ENDS: 9/21/17.